Arthur Jarvinen (1956-2010) is a familiar figure in the contemporary music community, having been a featured composer and performer on prominent concerts, festivals and broadcasts internationally for well over two decades. He was a founding and longtime member of the acclaimed California E.A.R. Unit and has led several of his own bands and ensembles of various kinds. His musical activities both as composer and performer range from contemporary chamber and experimental music to songwriting, surf music, electronics, improvisation and multimedia, and his creative output includes visual art, word works, and experimental theater. Edible Black Ink, the first full CD of Jarvinen's music, is released by the California E.A.R. Unit on O.O. Discs. Ghatam, a 55-minute collaborative work by the Antenna Repairmen and sculptor Stephen Freedman is composed for unique handmade ceramic instruments and is released on M.A Recordings. Erase the Fake, the debut recording of Some Over History (O.O. Discs) enjoyed a lengthy stay on the college radio top-ten playlist. Serious Immobilities, Petit (84 variations on Satie's Vexations), for piano solo, was recently recorded by Bryan Pezzone and released on Los Angeles River Records. In 2002 Jarvinen established Lakefire Records for releasing his own recordings and other projects of special interest. Experimental Etudes is Jarvinen's first offering as an author. The book elucidates in music and words many of the problems of contemporary music for players of all instruments. Jarvinen's theatrical experiments have generated a unique body of work he calls "physical poetry". These are non-narrative audio/visual compositions for the stage, incorporating sound, text, movement, lighting, and props. Jarvinen has performed his physical poetry as a soloist, and with the California E.A.R. Unit, the Antenna Repairmen, and the experimental theater group Le Mômo. Jarvinen has received commissions from the Los Angeles Philharmonic, the Koussevitzky Music Foundation (for X-tet), the Fromm Foundation at Harvard University (for the New York New Music Ensemble), the Minnesota Composers Forum (for both the California E.A.R. Unit and Helios), the San Francisco Contemporary Music Players, Zeitgeist, Alea III, and others. He received a 1990 NEA composer fellowship for The Paces of Yu, a unique percussion work for Brazilian berimbau (a folk instrument) and homemade instruments. He was awarded a 1991 California Arts Council fellowship and received Ohio University's 1997 Achievement In Music Award. He received a Subito Grant from the American Composers Forum, Los Angeles Chapter, for the recording of Serious Immobilities, Petit, and most recently was awarded a City of Los Angeles (C.O.L.A.) Individual Artist Fellowship for the creation and presentation of Nighthawks, a staged song cycle on paintings by Edward Hopper. Jarvinen's works have been performed by the California E.A.R. Unit, the Los Angeles Philharmonic New Music Group, New York New Music Ensemble, Icebreaker (England), Relâche, Bang On A Can All Stars, Essential Music, Xtet, Zeitgeist, Contemporary Chamber Players, Ensemble '88 (Netherlands), the San Francisco Contemporary Music Players, the Pittsburgh New Music Ensemble, New Performance Group, Twisted Tutu, Bosso Bongo, Magnetic Pig (Australia), New World Ensemble, Synchronia, Ensemble Green, Dinosaur Annex, Firebird Ensemble, Alea III, as well as numerous solo artists. Major performances include the Ojai Festival, Tanglewood, CalArts Contemporary Music Festival, New Music America, Ars Musica (Brussels), the Meltdown Festival (London), de Ijsbreker (Amsterdam), the Kennedy Center, Monday Evening Concerts (Los Angeles), Bang On A Can, Merkin Concert Hall, Lincoln Center, The Kitchen, and Essential Music (NYC), American Inroads (San Francisco), the Overtones Series and Walker Art Center (Minneapolis), North American New Music Festival, the Kenneth Patchen Festival (Ohio), the Louisiana Museum for Modern Art (Humlebaek, Denmark), and Music Fest Kiev. 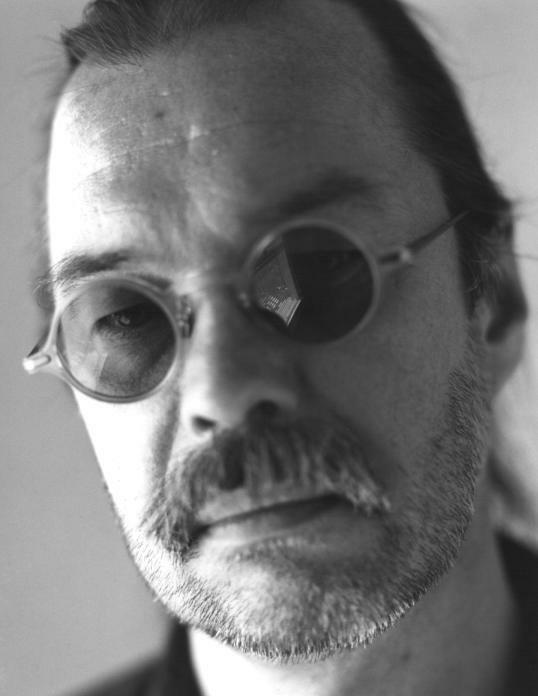 Arthur Jarvinen received the Bachelor of Music in applied percussion from Ohio University (1978) where he studied with Guy Remonko, and the Master of Fine Arts from the California Institute of the Arts (1981) where he studied percussion with John Bergamo, Karen Ervin, and Ruth Underwood, and composition with Morton Subotnick, Stephen Mosko, and Earle Brown.